Children’s hands and mouths are different than adults. They need to use toothbrushes designed for children. Both adults and children should use brushes with soft, rounded bristles for gentle cleaning. Change to a new brush about every three months. Wipe infant’s teeth gently with a moist, soft cloth or gauze square. As babies grow, use a child’s toothbrush with a small, pea-sized dab of toothpaste. By age 2 or 3 begin to teach your child to brush. You will need to brush where they miss. Dentists and hygienists often advise children to use a gentle, short, back and forth motion to remove plaque. Hold the brush at an angle (45 degrees) towards teeth and gums. Move brush back and forth with short strokes, about a half tooth wide. Once your child’s teeth begin erupting, you can begin cleaning them by wiping them with a moist washcloth. 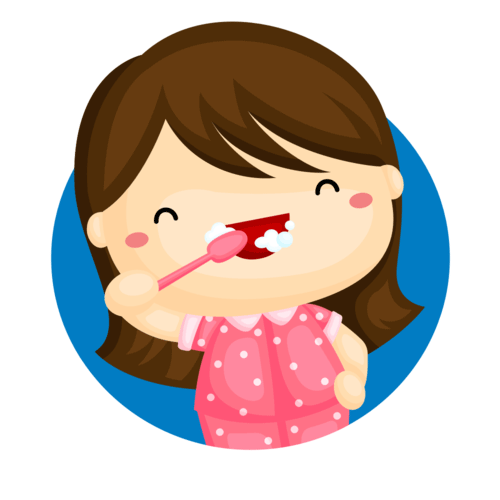 As your child gets more teeth, you can begin to use a soft child’s toothbrush. You should use just a pea-size amount of a fluoride toothpaste or a non-fluoride toothpaste (like Baby OraGel) until your child is able to spit it out (too much fluoride can stain their teeth). let him brush his own teeth first (you will likely have to “help out”). 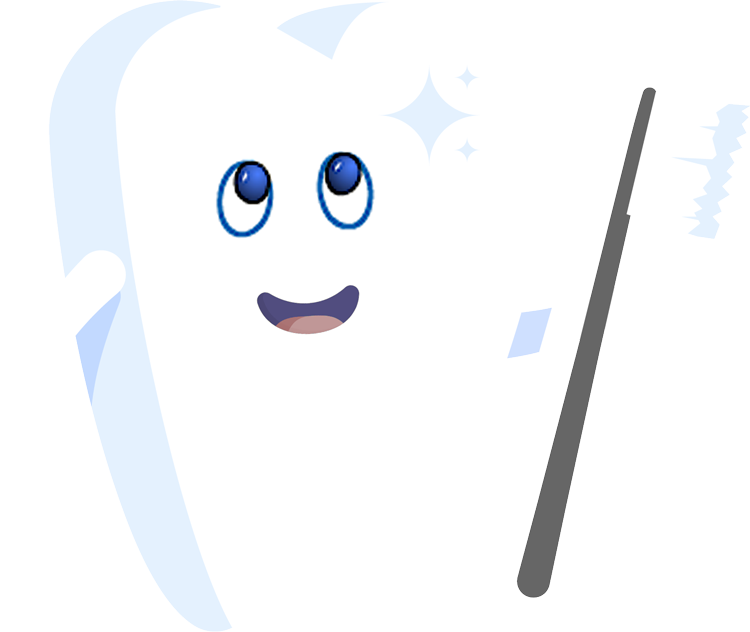 read some children’s books about tooth brushing. Or have everyone brush their teeth at the same time. Thumb or finger sucking are habits that occurs in infants. Children usually give up thumb-sucking by the age of four. If the child has difficulty breaking this habit, they may develop crooked teeth and a malformed roof of their mouth. This results from the frequency, duration, intensity, and position of the thumb in the child’s mouth. This can also effect the position of the upper and lower jaw and can also affect speech. The first baby teeth come into the mouth are usually the two bottom front teeth. You will notice this when your baby is about 6-8 months old. Next to follow will be the 4 upper front teeth and the remainder of your baby’s teeth will appear periodically. They will usually appear in pairs along the sides of the jaw until the child is about 2 1/2 years old. At around 2 1/2 years old your child should have all 20 teeth. Between the ages of 5 and 6 the first permanent teeth will begin to erupt. Some of the permanent teeth replace baby teeth and some don’t. Don’t worry if some teeth are a few months early or late, as all children are different. Don't Delay - Make an Appointment Today!